In the spring of 1979 while living in Port Hope, Ontario, I read in the Globe and Mail that Almuth Lutkenhaus’s sculpture Crucified Woman had been installed at Bloor Street United Church. She was in the narthex during Holy Week and in the sanctuary on Good Friday. The outrage of some was expressed when someone at Toronto South Presbytery charged Cliff Elliot, the incumbent minister at the time, with heresy. The support of others helped Presbytery to dismiss the charges. Last year, marking 30 years since this remarkable occasion, many gathered at Emmanuel College to hear Sophie Jungreis, a Jewish artist, Nevin Reda, a Muslim academic, and Margaret Burgess and Janet Ritch, literary scholars, reflect on what the image of Crucified Woman evokes today. Toronto lawyer and scholar Nella Cotrupi read a stunning poem. The evening concluded with many walking by candlelight to Bloor Street United Church, where the Easter Vigil service celebrated images of women cruciform and rising. Johan Aitken, professor emerita from OISE and an original member of the committee who brought the installation in 1979, related her experiences of that time. Visual images of women suffering and rising around the globe enhanced the service. I graduated in 1986, when Lutkenhaus’s gift of Crucified Woman was finally, after a protracted debate, accepted by Victoria University. Doris Dyke, a professor at Emmanuel College, along with a group of students who called ourselves the “Uppity Women,” planned an event to mark her installation in the garden behind Emmanuel College. The Friday evening showcased women’s stories, gifts, and accomplishments. The next day a well-attended outdoor worship service featured the hymns of the late Sylvia Dunston, liturgical dance under the direction of Alexandra Caverly Lowery, and preachers Doris Dyke and Cliff Elliot. 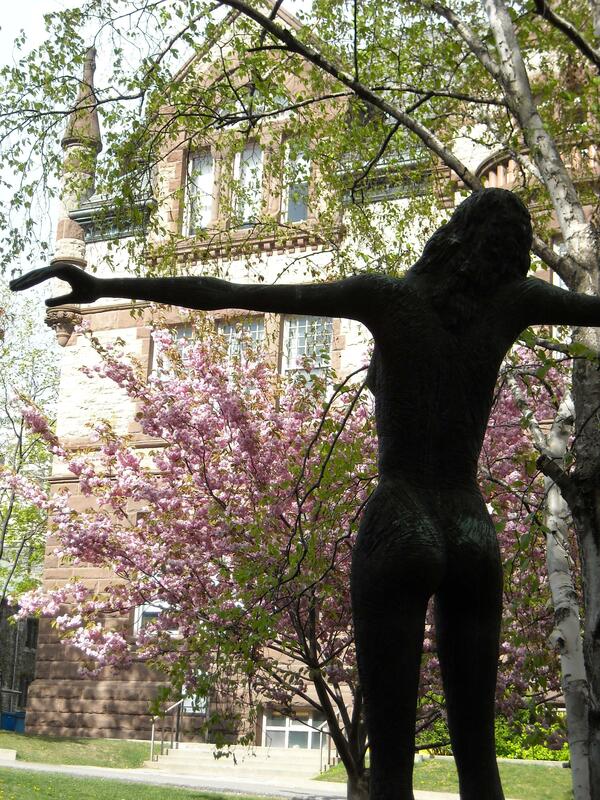 I was the worship leader and was thrilled to complete my years at Emmanuel College, where the debate of what would it mean to have Crucified Woman at a theological School had shaped my understanding of the challenges of feminist thought. The service was a satisfying occasion, indicating that the academy and the Church recognized both the rights and the suffering of women. May 14–15, 2010, women and men once again will gather to reflect on what the symbol of a cruciform Woman evokes in our culture today. Ojibway elder Marjory Noganosh will lead the opening ceremony and present, along with social activist Pat Capponi, and photojournalist Rita Leistner. Come listen, reflect, and join this ongoing conversation, a conversation that also invites submissions to be considered for publication. Biographies of the speakers and workshop presenters, as well as of the dancers and musicians who will be performing at the event, after the jump. This entry was posted in News on May 7, 2010 by Guest Blogger. It’s a hung parliament in Britain, and it’s not yet clear what will happen next. Here’s the classic Monty Python North Minehead By-Election sketch, featuring Mr. Hilter, Mr. Bimmler, and Ron Vibbentrop. This entry was posted in TGIF on May 7, 2010 by Michael Happy. Thank you for these posts on Machiavelli (here and here). 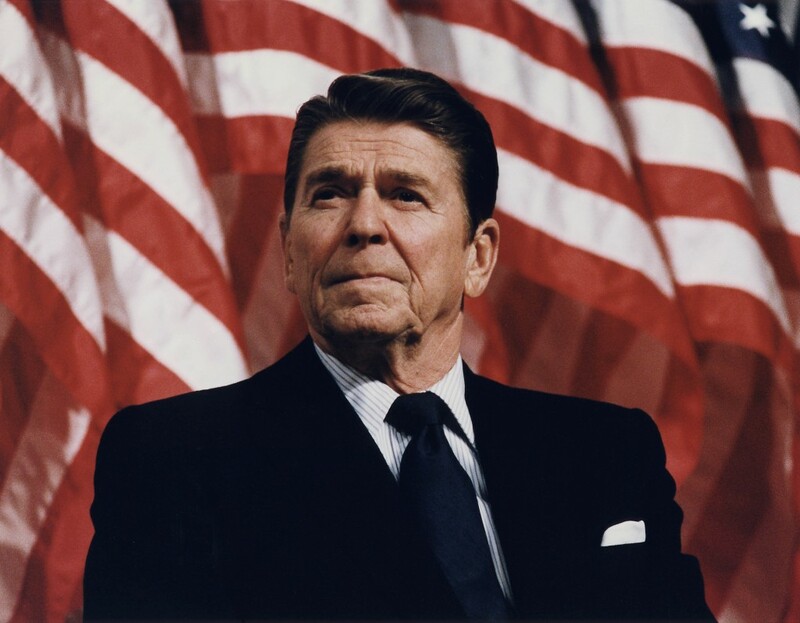 That we have derived the word hypocrite from the Greek word for actor called up for me the image of Ronald Reagan, an actor whose enormous appeal as a politician had much to do with his ability to wear a mask and speak words that were complete illusions. It also called to mind a passage in Stendhal’s Le Rouge et le Noir, where the narrator observes of Julien Sorel, a young Tartuffe in training and a secret admirer of Napoleon, that he never felt comfortable in a social or political context–this would be during the very reactionary period of Charles X– unless he were saying something very different from what he actually believed. I also thought of Michael’s earlier post quoting Frank Rich in the New York Times who, in contrasting Obama with his Republican opponents, refers to Frye’s definition of a good leader. When I first read that post I wondered where Frye had given such a definition. It appears to be from The Fools of Time and the discussion of the nature of the strong order figure in the context of Shakespearean tragedy. I have extracted a couple of passages below. Society to the Elizabethans was a structure of personal authority, with the ruler at its head, and a personal chain of authority extending from the ruler down. Everybody had a superior, and this fact, negatively, emphasized the limited and finite nature of the human situation. Positively, the fact that the ruler was an individual with a personality was what enabled his subjects to be individuals and to have personalities too. The man who possesses the secret and invisible virtues of human nature is the man with the quiet mind, so celebrated in Elizabethan lyric poetry. But such a man is dependent on the ceaseless vigilance of the ruler for his peace. This view of social order, with its stress on the limited, the finite, and the individual, corresponds, as indicated above, to Nietzsche’s Apollonian vision in Greek culture. That makes it hard for us to understand it. We ourselves live in a Dionysian society, with mass movements sweeping across it, leaders rising and falling, and constantly taking the risk of being dissolved into a featureless tyranny where all sense of the individual disappears. We even live on a Dionysian earth, staggering drunkenly around the sun. The treatment of the citizens in Julius Caesar and Coriolanus puzzles us: we are apt to feel that Shakespeare’s attitude is anti-democratic, instead of recognizing that the situation itself is pre-democratic. In my own graduate-student days during the nineteen-thirties, there appeared an Orson Welles adaptation of Julius Caesar which required the hero to wear a fascist uniform and pop his eyes like Mussolini, and among students there was a good deal of discussion about whether Shakespeare’s portrayal of, say, Coriolanus showed “fascist tendencies” or riot. But fascism is a disease of democracy: the fascist leader is a demagogue, and a demagogue is precisely what Coriolanus is not. The demagogues in that play are the tribunes whom the people have chosen as their own managers. The people in Shakespeare constitute a “Dionysian” energy in society: that is, they represent nothing but a potentiality of response to leadership. This entry was posted in Fools of Time, Politics on May 7, 2010 by Joseph Adamson. On this date in 1824 Beethoven’s Ninth Symphony premiered in Vienna. This entry was posted in Anniversaries, Correspondence, Music on May 7, 2010 by Michael Happy.